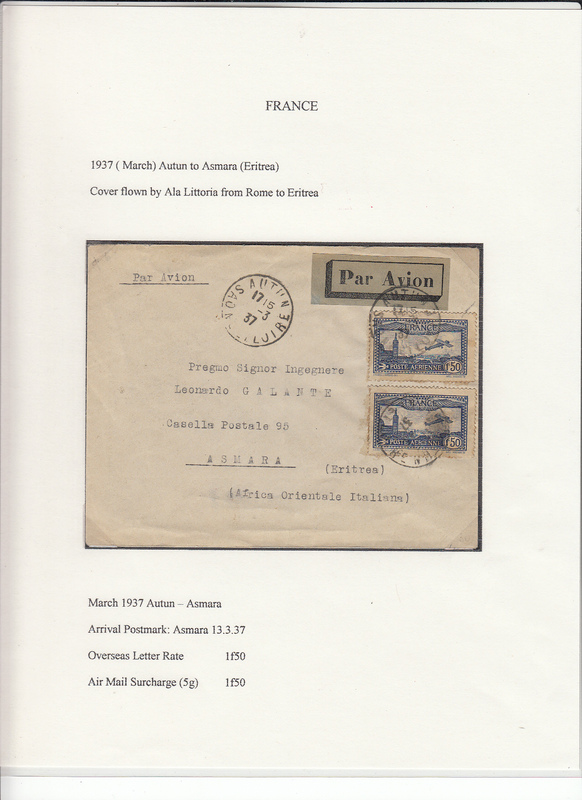 Beyrouth-Lattatique-Baghdad airline, early air cover, Beyrouth -Cairo, bs 24/11, via Damascus 14/11, Baghdad 15/11 and Port Sad 24/11, registered (label) cover franked 1924 airs opt set of 4, cat £55 used, typed "Poste par Avion/Via Baghdad, Port Said". Rear flap missing, otherwise very fine. 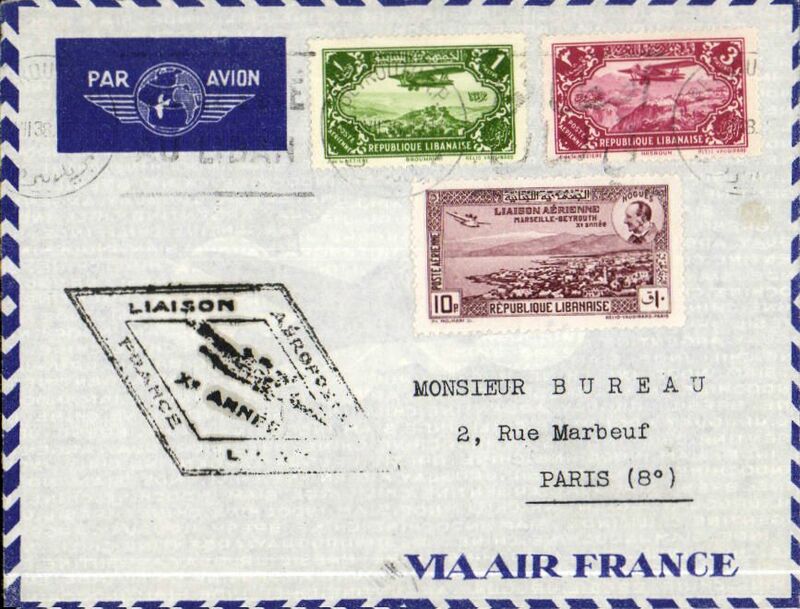 Air Orient, 10th Anniversary first Beyrouth-Paris flight, bs 22/7, blue/pale blue Air France company cover franked 4P + special 10th Annivesary 10P stamp, black diamond flight cachet. Lignes Aerienne Militaires (LAM)/Forces Aerienne France Libre, F/F Beyrouth to Brazzaville, Middle Congo, bs 3/11, censored airmail etiquette cover franked 25P, fine strike red framed flight cachet and violet Circle with Cross of Lorraine censor mark. Between 1941 and 1946 Lebanon was under the control of the Free French Forces. 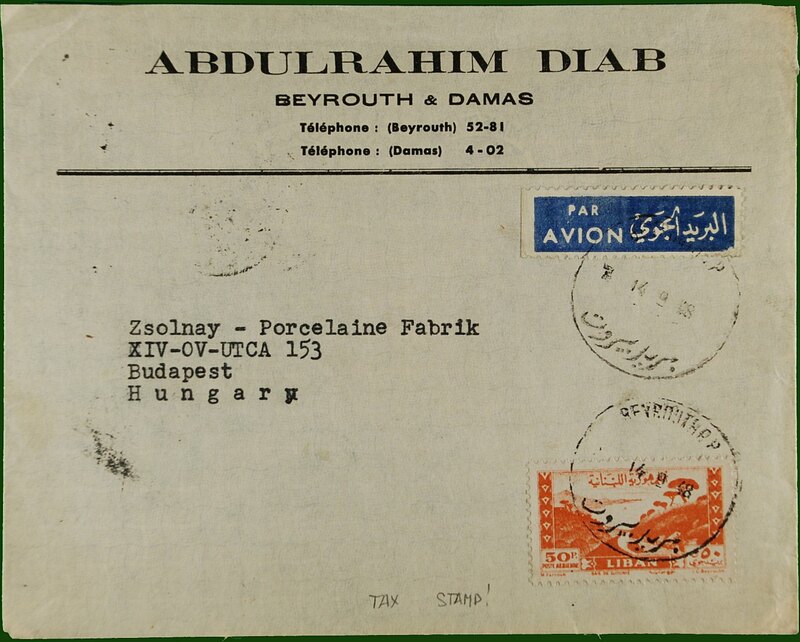 Lebanon to Hungary, early post WWII flown commercial etiquette cover to Budapest, bs 8/4, franked 30p canc Beyrouth single ring cds. 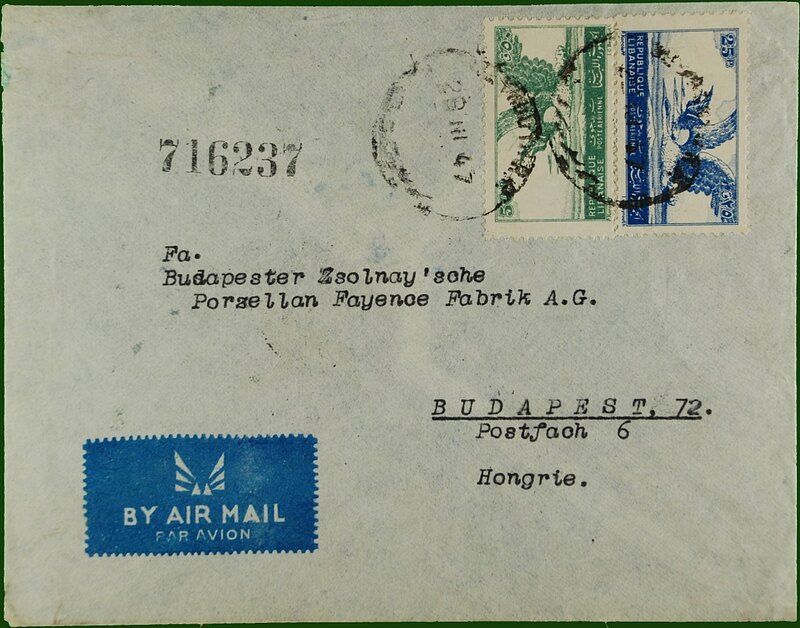 Flown printed commercial etiquette cover to Budapest, bs 18/9, franked 5p canc Beyrouth sr cds, 6P blue with brown opt verso ties by Budapest arrival ds. 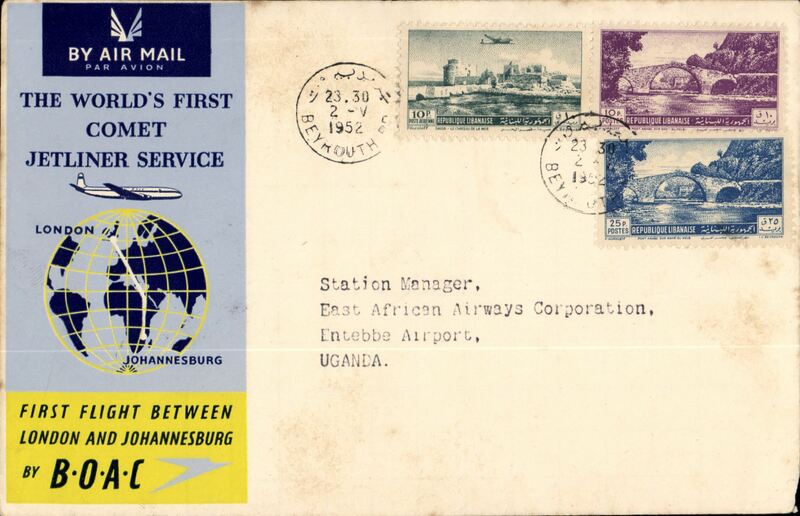 F/F Comet 1, Beirut to Entebbe, Uganda 3/5, official cover, BOAC Image.